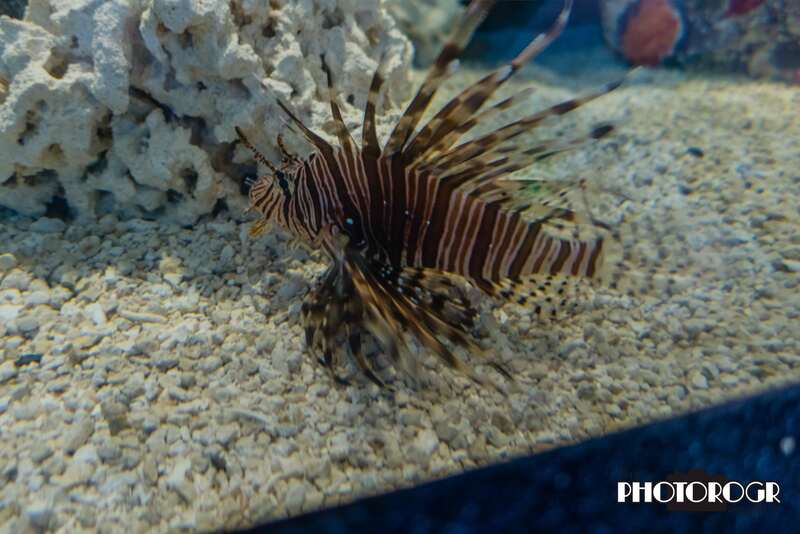 The Texas Adventure…Texas State Aquarium! In my post last week, I showed pictures from the two weeks I spent in Maryland training for my assignment with FEMA. I was assigned to the Corpus Christi Branch Field Office. Corpus Christi suffered wind damage, but nothing like Padre and Mustang Islands and the coastal areas to the north and inland areas to the northwest. 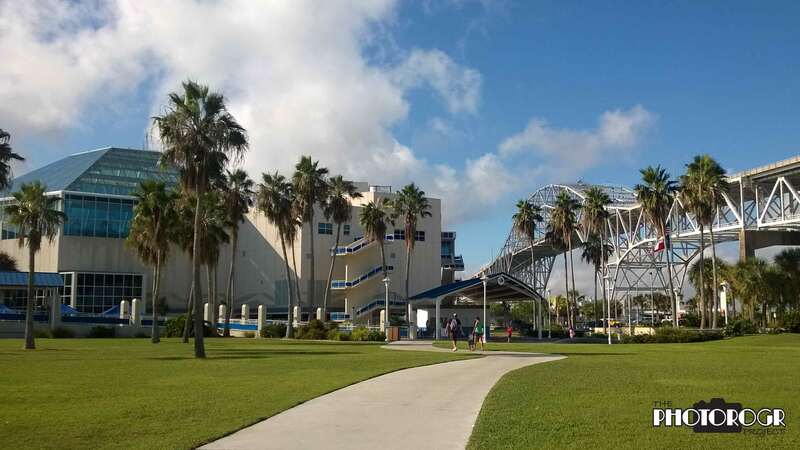 On my first weekend (and day off) in Corpus Christi, I visited the Texas State Aquarium. This is a beautiful facility and well worth the entry fee. The walk from the parking lot. The former engineer in me loves that bridge on the right! As is my habit, I started my tour on high ground. 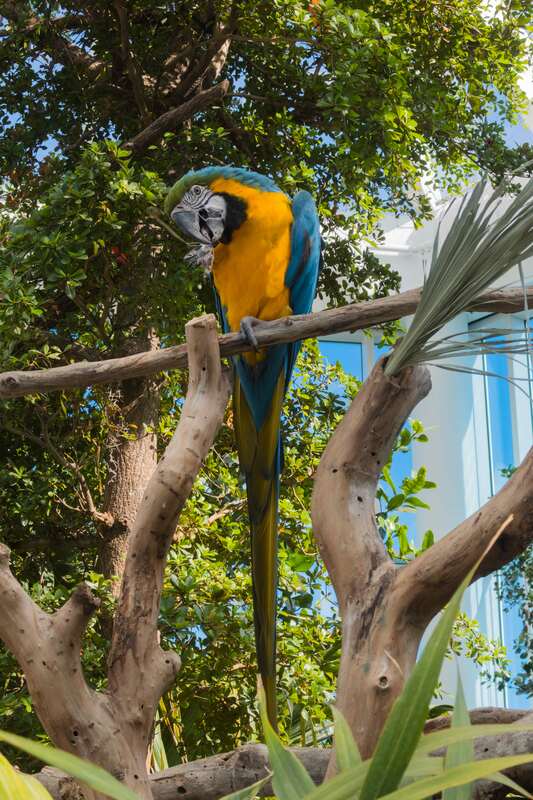 This atrium houses the tropical birds and other fun stuff! 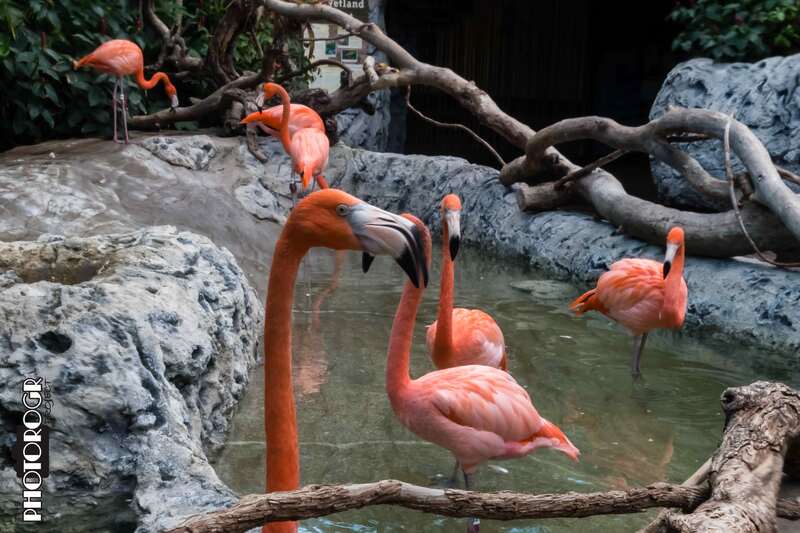 Lots of Flamingos. You’d think they would be easy to photograph because they move so slow, but they move enough to screw up any bracketed exposures. This guy was coy, but enjoyed having his picture taken. And then there was this guy. I caught him still sleeping, but shooting up and into the light was a bit challenging. 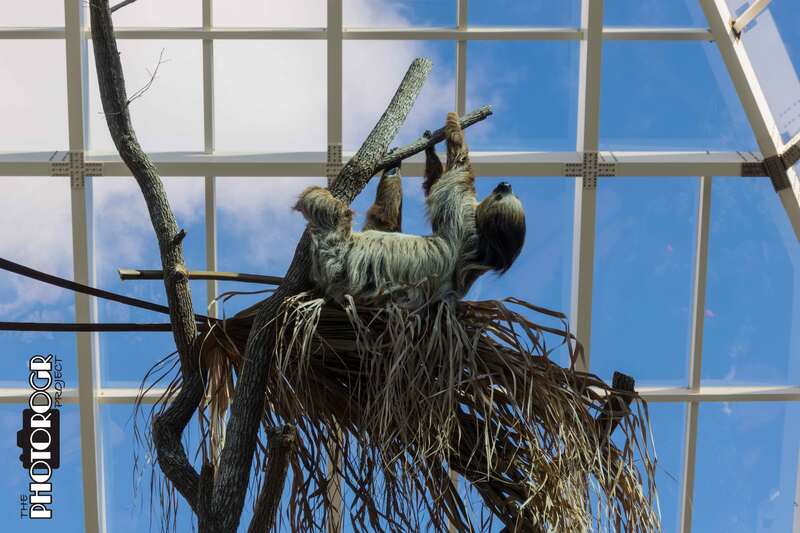 I’m told that Sloths have a green tint because they move so slowly that algae can grow in their fur. I haven’t confirmed it, however. The displays are great, but pictures of fish in tanks have always been a stretch for me. I tried anyway and made this image. 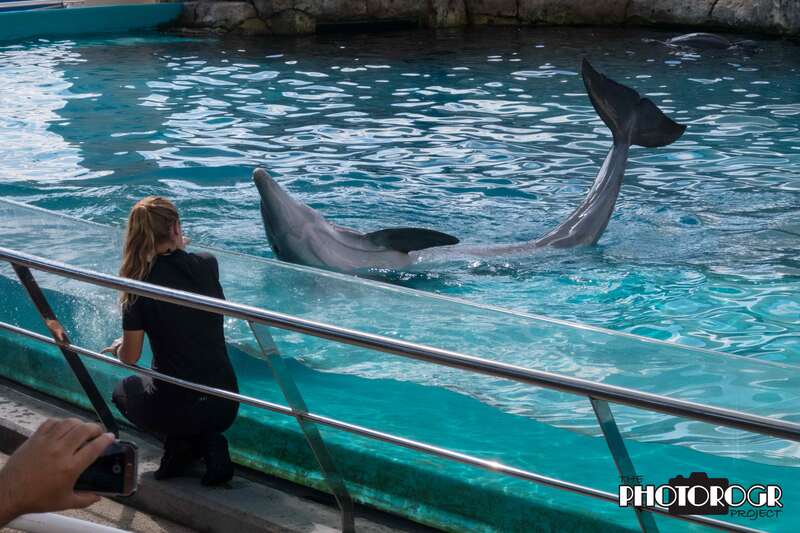 I enjoyed the Dolphin Show! They were very entertaining, but it was a very hot day and it got a little uncomfortable sitting in the stands. When I made the decision to take the PowerShot camera, I knew I would be limited in my compositions. With that in mind, I wanted to work on my ‘eye’ to see landscapes. 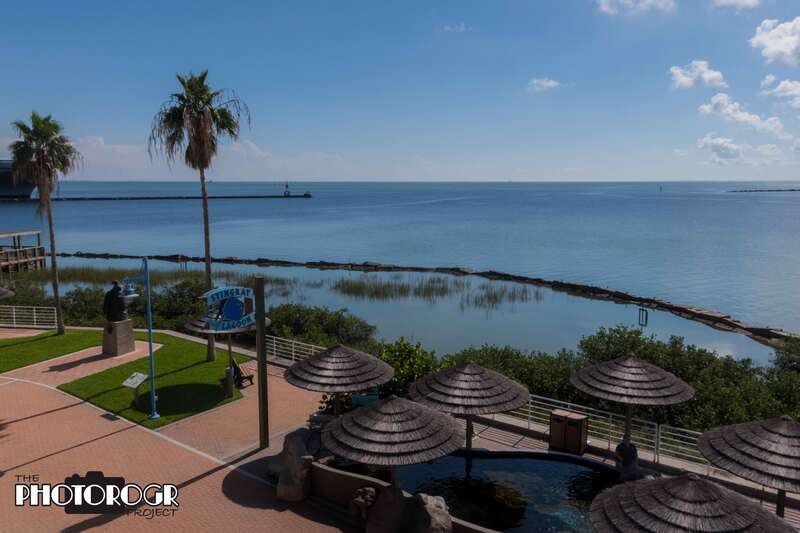 This is a view of the Gulf of Mexico from one of the observation platforms. 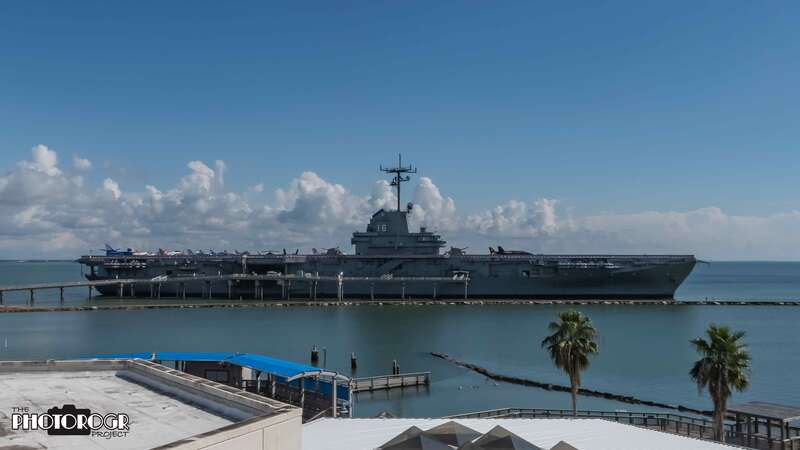 The USS Lexington is on display as a floating museum. Here she is, as seen from the Aquarium. I also enjoyed the 4D Shark Show and picked up a nice t-shirt while I was there. All in all, the Texas State Aquarium gets a big thumbs up as a place to visit! Very nice. It’s not the camera, it’s the photographer IMO. Enjoyed the Maryland pics very much also, just too busy to stop by and tell you so. Keep on exploring and sharing!